Do you ever wish that it were just a little bit easier and less stressful to develop your grant proposals? Are you looking for tips that will save you time (and perhaps save your nonprofit money) as you do your essential work? To help people who say “yes” to these questions, I want to share highlights with you from my presentation to the Grant Professionals Association Mid-Atlantic conference and a follow-up Twitter #grantchat. Here are the 30 best ideas! 1) Use more than one monitor at your desk. 2) Get out of your chair. Try a standup desk – I love my ReadyDesk and recommend it for anyone who doesn't want to buy a large desk and wants to switch back and forth between standing and sitting throughout the day. And if standing isn’t enough, try walking as you work. Diane Leonard (@DianeHLeonard) has a treadmill desk that her husband made! 3) Expand your gray matter. 8) Use LinkedIn to get all your questions, big and small, answered. There are several LinkedIn groups for grant professionals, where people generously share their expertise. Ask them anything! LinkedIn groups I like include Grant Professionals Association, For GrantWriters Only, and Council for Resource Development. Also check out the regional groups (e.g., Greater NY Area Grantwriters) and general fundraising groups (e.g., CharityChannel). 9) Use Twitter to get new ideas about grantseeking and nonprofits. 10) Use Remember the Milk to corral your to-do lists. 11) Use old-school listkeeping and calendar systems too – as backup or at your preference over the tech solutions. For example, I love my Planner Pad. The Moleskine Weekly Taskmaster Planner has similar functionality. These sticky divider notes are a quick way to improve any paper planner. 12) Read books about grantseeking (but not the boring ones, because life’s too short!). Some personal favorites are The Ultimate Insider's Guide to Winning Foundation Grants, Grant Proposal Makeover: Transform Your Request from No to Yes, and The Only Grantwriting Book You’ll Ever Need: Top Grant Writers and Grant Givers Share Their Secrets. 13) Make friends with other grant professionals. Hopefully some of them can become your mentors. Attend brown bag lunches or morning coffee with the development folks in your area, or if no such groups exist, start your own. 14) Stay connected to industry leaders. Follow them and read their work. There are a lot of voices teaching essentially the same thing, so just choose those who speak in a way that makes the most sense to you. To get started, you can sign up for free enewsletters from Grantsmanship Center, Foundation Center, Blue Avocado and GIFT. 15) Find funders in your niche. One of the takeaways from the Twitter chat was that most experienced grant professionals are confident about their efficiency as grant prospect researchers. We’re helped greatly by the high-quality comprehensive funder databases such as the Foundation Center’s Foundation Directory Online. However, there are some niche funder directories that you might be overlooking. For example, if your organization has a Catholic identity, or if you do social justice work without having a Catholic identity, you can use FADICA’s Catholic Funding Guide to find some new prospects that have money to give, but are too obscure to be listed in the mainstream directories. 16) Read other organizations’ successful grant proposals. If you have a good relationship with a funder, you can ask the program officer to share copies of excellent grant proposals (confidential details can be whited out). Have someone who is a thoughtful reader and decent editor review your drafts. 18) Write a better organizational background statement. Refresh the organizational background section of your grant proposals by doing personal interviews with the founder or founding staff of your nonprofit. Ask them to explain why and how your organization was founded – what need wasn’t being met? You might learn new information to tell a better story about the organization. 19) Write a better needs statement. Your proposals’ needs statements may be tired. To more persuasive information, try reaching out to an academic who researches your nonprofit’s service or issue area. Email your questions to the researcher and you might get some great new data or insights. 20) Learn about nonprofit marketing – many of the principles and techniques can improve your grant development skills. While sticking to the conventions of nonprofit proposal writing, you can make your grant proposals far more engaging by following advice from copywriters. The classic guide to copywriting, which has tons of advice that applies to writing for nonprofits, is The Copywriter's Handbook. 22) Learn about project management. 23) Read Inside Philanthropy, which has limited free access and paid full access. 24) Get prospect referrals from current or past funders. Ask the funders that you have good rapport with to recommend other funders that may be interested in your organization. 25) Get to know the important politicians in your area. Your Members of Congress and other leaders at every level of government can help you get grant funding. They can alert you to opportunities and help connect you to partners. Start by meeting with them, and then get on their email lists to stay current. If nothing else, you can rely on them for letters of support. 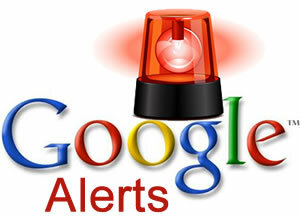 26) Use Google Alerts to track your funders’ and prospective funders’ news and activities. 27) Use social media to thank your funders. Recognize them when they give you a grant and credit them for specific accomplishments that occur during the grant term. 28) Pick up the phone. Calling a funder can be scary, but the information you can get via a phone call can be essential. But don’t call without doing some legwork first! Write out the questions you want to ask or points you want to cover. 29) Buy a nice box of thank you notes. Some nice options: watercolor thank you notes, wreath on kraft paper thank you notes, and chalkboard thank you notes. Then, start sending them – to partners, funders, prospects and colleagues. 30) Encourage funders (to the extent you have influence) to be more efficient themselves in working with potential grantees. Attend Meet the Funders events, and then send follow-up notes to the funders who spoke, telling them how useful these events are to grantseekers. If your region doesn’t have such events, start one, perhaps in collaboration with a community foundation or a local university. What about you? What "grant hacks" can you add to this list? What is your go-to technique or tool in grants development? Please share your ideas in the comments! Affiliate links are used here, which means at no extra cost to you, making a purchase by clicking these links helps support this site. I only recommend books, tools and other resources that I myself use and that I believe can help you. Google alerts are a grant professional's best friend! This free service will send you an email every time a topic, organization or person of interest is mentioned on the internet (on web pages, newspaper articles, or blogs). As a grantseeker, you can use Google alerts to stay on top of news about foundations, grant programs, board members, partner organizations, trainings, and other key topics. You enter a query that you're interested in. Google alerts can make the difference between missing a deadline and winning a grant! For example, one of the leading grantmakers where I live in southern New Jersey is the corporation South Jersey Industries. They operate a grants program called the Social Investment Program. Thanks to this Google alert, I can be one of the first to know when South Jersey Investments releases a new RFP, holds a special event, makes a new grant, changes its staffing, and updates content on its web pages. I can also monitor what other nonprofits and community members are saying online about the grant program. You can control how often you receive Google alerts, and you can turn off or edit a Google alert at any time. Consider these three advanced tips from Google for creating Google alerts, and then go forth and Google alert your way to more grants! TIP 1: Try to be as precise as possible. The more precise your search terms are, the more relevant your alerts will be. TIP 2: Use quotes around a group of words if you are looking for them together. TIP 3: Use a minus sign (-) in front of words that you want to exclude. In 2012, my life as a grant proposal writer improved as I used the following 12 tools. Now, at the start of 2013, I'm sharing them with you! Let me know what you think.... Which have you used with good results? Which don't work so well for you? What are some of your own "top 12" resources? As the company describes it, "Evernote makes it easy to remember things big and small from your everyday life using your computer, phone, tablet and the web." The basic version of Evernote is free and there are paid upgrades. I find that the way Evernote visually organizes data is far more helpful than anything you could create in your email organizing system or in folders on your hard drive. Evernote can be the repository for all of the scraps of information informing your grant proposals. You can easily drop in text from emails, copied webpages, whole files, images and pretty much anything else in digital form. Six months after the grant is made, when your nonprofit's finance director wants to understand some arcane detail about the budget, you can go back into Evernote to quickly answer the question. LinkedIn groups for grantwriters are great, but the information shared can be overwhelming and with so many people involved, it can be hard to truly connect with peers. Also, the information you post to LinkedIn groups is more or less public, so you may be reluctant to share the details of a tricky situation that you're dealing with. As an alternative, private Facebook groups offer a free, easy-to-use way to connect informally and frequently with a select group of people. Facebook groups can really help to catalyze a network, building trust and even friendships as people share their best insights in a confidential forum. I don't have any specific Facebook groups to recommend, but I would urge you to say "yes" to opportunities in 2013 that come your way to join a private Facebook group geared towards your professional interests or personal goals! You can also start your own private Facebook group and recruit people to join it. The Grantsmanship Center runs training programs across the country and publishes great guidebooks as well. For an introduction to their offerings, subscribe to the monthly enewsletter (“Centered”), which I think is one of the best free resources out there for grantseekers. To subscribe, find the “join our mailing list” box on left side of the Grantsmanship Center’s homepage. It seems that Google Docs are getting better all the time. If you are a Gmail user, you can access Google Docs via the "Drive" tab on your email. You can set up your own private Google docs, which more or less mimic Microsoft Office applications such as Word, Excel and Powerpoint. Even better, your work collaborators can easily share documents with each other. Google Docs offer a great, free way to collaborate with a colleague or client who is working on on a grant proposal at the same time you are. You can both make edits to a document at the same time, and see each other's edits appear instantly. Google Docs now includes a chat function on the side of the screen -- very helpful! A "meet the funders" session is an event open to the public (usually with a fee) at which foundation program officers explain how their foundations work and what their funding interests are, and attending nonprofits get to ask questions. The sessions typically are regional (e.g., for Washington, DC area funders and nonprofits); include three to five speakers from foundations; are moderated by a knowledgeable and objective person; and close with a meet-and-greet where you can briefly talk with each program officer. I love these events and I've written about them before! To find out if these sessions occur where you are, get in touch with the nonprofit support organization serving your region or state. If they don't exist in your region, consider creating one. You will need a host institution (such as a local college or community center); a moderator who understands fundraising and nonprofits; and a few foundation program officers who are willing to speak on a panel. For many program officers, it's within their job descriptions to do public outreach so they might welcome the opportunity to participate. If you're in the Philadelphia area, you're in luck! The next meet the funders event (organized by Nonprofit Center at LaSalle University) is Jan. 25, 2013 and you can sign up here. If you are raising money for social-change causes, this organization can help you! Their advice covers grants as well as working with individual donors. Subscribe to their free enewsletter here. You need a break from all the hunched-over-the-computer stuff you do as a grant professional! The best options are those that involve getting out of your office and moving around -- going outside for a walk, going to that spin class you love or simply meeting a friend for tea. But if you can't escape the office, yoga videos on the internet offer a lovely mini-retreat. If your office has a door, obviously, this is going to be easier to manage than if you're in a cubicle. Assuming your setup allows it, keeping a yoga mat and and yoga clothes for a quick change will further enhance in-office yoga! You can find many free yoga classes on YouTube (try searching for "desk yoga"; "chair yoga"; and "office yoga"). Get started with this good one from Rodney Yee. Collections of more advanced, free YouTube yoga classes are posted here and here. Two of the best books for grant professionals that came out in 2012 are Martin Teitel's The Ultimate Insider's Guide to Winning Foundation Grants: A Foundation CEO Reveals the Secrets You Need to Know and Jana Jane Hexter's Grantwriting Revealed: 25 Experts Share Their Art, Science and Secrets. Teitel's book is an update and expansion of an older book, Thank You for Submitting Your Proposal. His contribution to the field is priceless -- nowhere else are you going to find this level of candor and direct experience inside the foundation world. It's an especially useful book for people who are seeking grants from small and medium-sized family foundation, but the advice is broadly applicable. Hexter's book is available as a free download on her website and as a hard copy on Amazon. It is a compilation of interviews with 25 of the nation's top grantwriting professionals. I loved it, and blogged about it here! Grant Professionals Association (GPA) is a national nonprofit that advances grantsmanship as a profession and supports its practitioners. Join GPA’s email list (for free weekly email updates) at the bottom left-hand corner of the GPA homepage. If a national conference is on your wish-list for this year, keep in mind that GPA's national conference will be held in Oct 2013 in Baltimore. That's only three hours from where I live so I'll definitely be planning to go. Charm city, hon! The online magazine of the organization American Nonprofits, Blue Avocado is made up of “practical, provocative and fun food-for-thought for nonprofits.” Topics include grantseeking, but go much broader. To give you a taste of what Blue Avocado covers, the site’s recent “editors and readers picks” included these posts: Our Executive Director is Embezzling; Regrets of a Former Arts Funder; and Telecommuting and Flexible Work Arrangements: Do Them Right. There's an ongoing discussion among grant professionals about the merits of Foundation Directory Online vs. Foundation Search. Let's settle it once and for all by stating that if you have a subscription to either one of these services, you're in good shape for foundation prospect research. However, if you're not so lucky, and your nonprofit can't afford or won't prioritize a subscription, you should know that the Foundation Center's "Cooperating Collections" offer free access to Foundation Directory Online. You can use this database of foundation and corporate funders for free if you’re able to travel to the nearest collection in your state or region. Information about Cooperating Collections is posted here. A list of Cooperating Collections by state is here. Google alerts will send you an email every time a topic, organization or person of interest is mentioned on the internet (on web pages, newspaper articles, or blogs). As a grantseeker, you can use Google alerts to stay on top of news about foundations, grant programs, board members, partner organizations, trainings and other key topics. Read these additional tips for creating Google alerts.